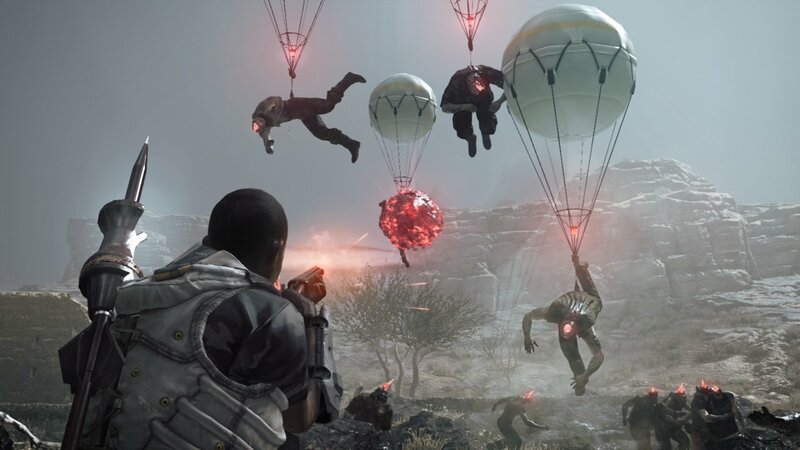 Metal Gear Survive was never going to have it easy. The dust had hardly settled on the Post MGSV Kojima-Konami fallout when – barely a year after release – the Japanese publisher decided to shock everybody and announce the first Metal Gear game in decades to not be developed under Hideo Kojima’s autocratic eye. Many people on some of the more popular gaming forums snorted with contempt at this decision, seeing it as a cheap cashgrab off the back of the wildly successful MGS V as well as a passive aggressive attempt at tarnishing Kojima’s legacy due to the acrimonious split between the two parties. 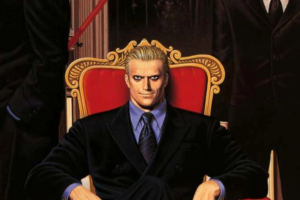 A chorus of “F*CKonami”was chanted across the internet as fans accused Konami of butchering their beloved Stealth action series and turning it into a straightforward survival game. All this off the back of just a single trailer released at Gamescom. Heck, I was just happy it was an actual game and not another Pachinko machine. I went into the Metal Gear Survive beta knowing hardly anything about the game. Honestly, what I’d read on forums had put me off – I actually saw some logic in what a lot of those people were saying. How dare Konami do this to MGS after the masterpiece that was MGSV! Then I played it. And I realized that this air of negativity around the game was just that, hot air. Intangible, pointless and coming from the clouded perspective of people who are convinced that Konami is run by the devil. 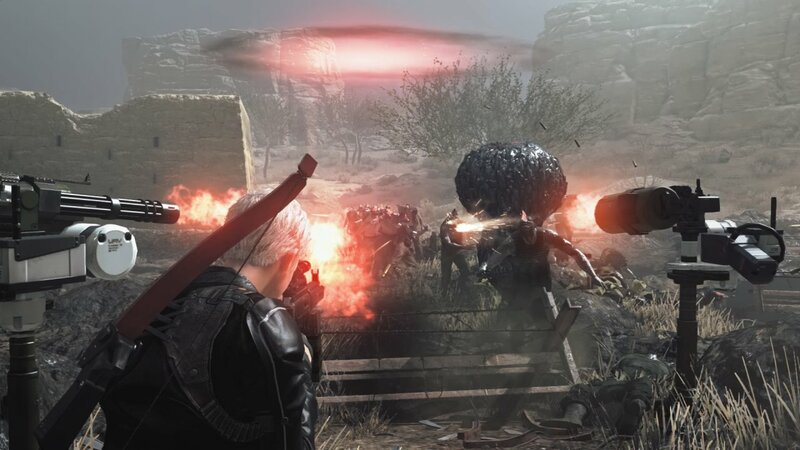 From what I’ve played of the beta – Metal Gear Survive is actually really, really fun. Survive mixes a couple of different genres on top of a decidedly RPGish core. We have scavenging, crafting, building and defending. Of the three missions available to us in the beta, each of them drops your character (fully customizable, similar to the avatar system from Metal Gear Solid V) off in a fairly sizeable tract of land dotted with buildings and ruins. Here, you are tasked with roaming the area searching for supplies to craft weapons, items and ammunition whilst making your way towards your primary defence objective – the wormhole digger, a mining device that must be protected at all costs. 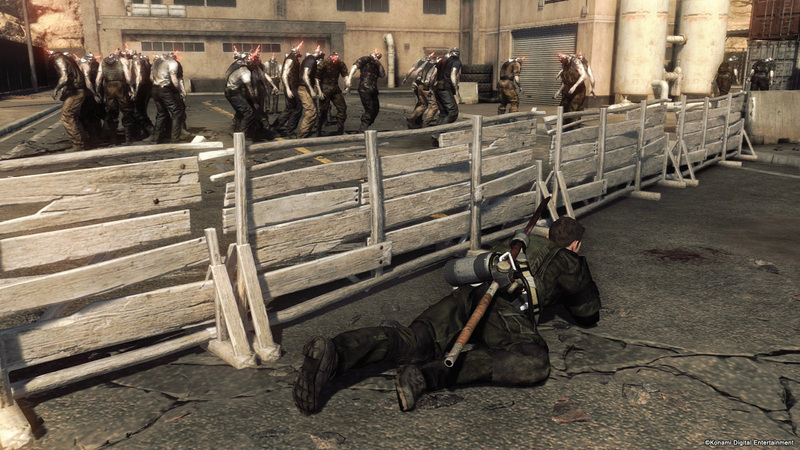 Once the the digger has been reached, timed waves of enemies will begin their assault on the area in an attempt to destroy it. This is where the defence portion of the game comes into play. Using the resources you gather in the surrounding areas, you can also create various types of walls, traps and emplaced weapons. Wooden barricades and barbed wire fences are fairly simple to create and aren’t component heavy but are fairly squishy and won’t last through much punishment, forcing you to replace them regularly. Placeable LMGs and shock traps are real game changers though, allowing you to cut through swathes of enemies like butter. However the materials required for these heavy munitions are hard to find in the field and either have to be brought into the mission from your own stockpile or earned through the many side missions that the game drops on you during the preparation stage between each zombie wave…Wait a second – zombies!? 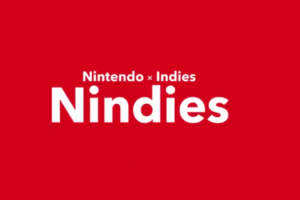 Yes, the political intrigue and conspiracy theory laden plots of previous Metal Gear games can move aside, there’s a new threat in town and it shambles towards you at an alarming rate. Past Metal Gear games have never been sensible, realistic affairs but zombies is an interesting new direction to say the least. They’re referred to as ‘creatures’ on the official website, but I know a zombie when I see one. In the beta we saw 3 different types, your standard shuffling type, a walking bomb that will make quick work of your barricades and an armoured variation which took a lot of firepower to bring down. All 3 missions in the beta could be played in either single player or multiplayer, however they were clearly tuned towards multiplayer as I ran out of ammo within the first round when I attempted the first mission in single player and was left poking at my enemies with a spear. Teamwork is very much the word of the day here as being surrounded by enemies will spell a very quick end to anybody brave/stupid enough to run off and tackle the horde alone. A system I noticed that was ticking away in the background was that your character had hunger and thirst metres. These would slowly trickle down throughout each mission, though not once did I notice either of them drop below 50% so I couldn’t tell whether or not this system has a tangible effect on your characters performance. Progression is where It looks like the full game may shine, featuring a class levelling system complete with base stats (strength, vitality, dexterity and endurance) with various skills that can be learned and improved. You level your classes up using ‘Kuban Energy’ – the element that is extracted by the mining device that you defend during each mission. We were only given access to the ‘Survivor’ class during the beta, a class that seems to focus on giving you access to new melee weapon skills as well as increasing your characters survivability. The class system looks like it will provide a large amount of depth combined with the crafting of equipment for your character and the home base building feature that we were unfortunately unable to experience during the beta. I only had 3 days with Metal Gear Survive and its 3 beta missions, but it has already left a very positive impression on me. Layering various systems on top of the already tight gunplay of MGSV looks to be paying off for Konami by creating something familiar yet unique in the ageing MGS franchise. 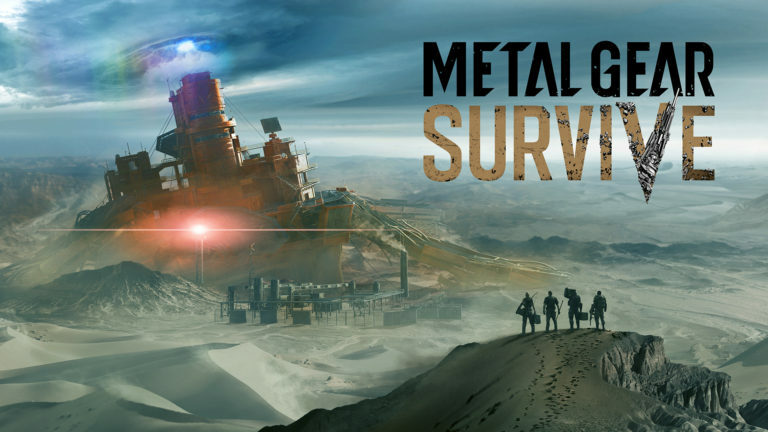 I can absolutely say that the beta has converted me from MG: Survive skeptic to being optimistic that the game can carve out its own niche and perhaps even convert those Metal Gear fans who wouldn’t even consider playing the title because it doesn’t involve Hideo Kojima. Bring on February 22nd I say!